I want to take this opportunity to thank you for all the assistance you provided me with regards to the setup of SigmaXL version 8 on my new laptop, yesterday. This was the very first time I have struggled to this extent with an installation of the software. It was then when I asked Clinton (my IT specialist) to see if he could assist me as I was busy facilitating the Lean Six Sigma Course. My first "Wow" moment is when you called Clinton to assist with the problem; thereafter, the online support you provided to me,which ultimately resolved the problem which I was experiencing, was what I call second to none. I have over the past number of years been privileged to have built up a relationship with you and other members of your team, which I am extremely proud to make mention of in my networking circles. Thank you for the awesome support which you provided to me during my struggles yesterday. In the past days I have downloaded 3 software.... With all three I have used same data (25 subgroups, n=5). Only with yours I was able to process data for a X-Bar - R chart in the first attempt... The point I am trying to make is that SigmaXL is very intuitive. That is the reason I liked it. But not all Add-In’s are. "I was amazed to find that this software allows you to do Monte Carlo simulation. It's basically a statistics package that runs in Excel, but if you get the DiscoverSim addition, the additional power available is phenomenal for the price." "As part of our Lean Six Sigma training program, our business has incorporated SigmaXL as a Statistical resource to our trainees. We have been doing this for a number of years. There are two key points I would like to make: 1. The software has a capability equal to many other more expensive Stats software programs and with its link to Excel makes it a very learnable program, basically all of our students pick up the applications with ease. 2. The service provided by the team at SigmaXL is second to none and this has included the fantastic experience in our relationships with the customer service guys at SigmaXL but also the senior leadership team of SigmaXL and where necessary a timely reply and comment from the CEO. This is absolutely top class. Keep up the great work, cheers"
"I was exposed to SigmaXL through my Motorola Greenbelt training. One of my favorite features is using histograms and box plots and stratifying the data across the same scale. I was exposed to another product through my manager's Black Belt training with another certification body and was disappointed that many of the features within SigmaXL were not present. I was re-joined with SigmaXL through my Acuity Black Belt training which also includes instructions and screenshots from other products. I've found that the graphic output of SigmaXL looks more professional and superior in most cases to other products. For the cost and functionality, you cannot beat SigmaXL especially if you are not in a very data intensive highly statistical workplace. 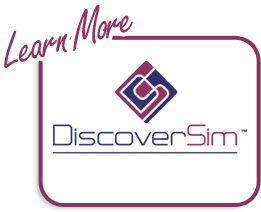 As an add-on to Microsoft Excel, SigmaXL provides nearly all the functionality anyone would need for the majority of their statistical needs and includes great templates to assist with DMAIC or other continuous improvement methodologies. " "I had a spreadsheet with 720 rows of numbers (some duplicates) that resulted in over 1600 rows entered in my report... I used EZ-Pivot to find out which claim numbers had incorrect totals. Saved me a ton of work and was so easy :-)"
Just a note of thanks to you. Your customer service is inspiring. My system crashed so I am having to re-load all my programs. I did not have this number, so I am truly grateful to you. Really. I am telling everyone I know who has the need, to buy SigmaXL. You all are fantastic. Thanks once again. Just wanted to let you know that I downloaded the new version of SigmaXL on to my computer. Wow...it is fantastic in Excel 2007. Excellent modifications." "One of my Green Belts from last year, using the Sigma Xl software won one of the SQ awards for best community Green belt project!" "Thank you very much, as always it’s a great experience working with the folks at SigmaXL." "Thank you for the updated links. You've made a lot of people in Denver, Colorado, happy. The green belts at AIMCO love your product, and we look forward to a long and prosperous relationship with your company. Thank you for your quick and personal response to my request. Your customer service is second to none. I will highly recommend your product to any quality professional who asks "How do you like SigmaXL?". Bang for the buck, there's no better product out there in the market place." "Your SigmaXL is really fantastic. It not only saves a lot of time but is very easy to operate." "The things I like about SigmaXL are the great support, the easy interface, it is an Excel Add-in, it is cost effective and it does a LOT! You get a lot of functionality that is easy to use!" 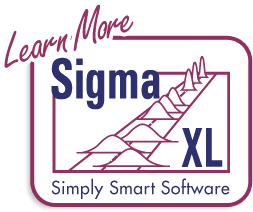 Toronto - SigmaXL, a leading provider of user friendly Excel Add-ins for Statistical and Graphical analysis, today announced that Motorola University has chosen SigmaXL software for its external Green Belt training. “We selected SigmaXL for our external Green Belt program as a cost effective and powerful software solution. Participants can take advantage of using the already familiar Excel tool and quickly learn the key graphical and statistical six sigma tools,” said Stacy Hanley, Director of Business Development, Motorola University Consulting Services. John, from a major computer manufacturer. Lyle, from a Data Storage Solutions company. From a major automotive supplier. "Benjamin Mikiten is a 12 year old science student from Hobby Middle School San Antonio, TX who used SigmaXL for his science fair project. Thanks in part to your fine and simple to use software, he won 2nd Overall Grand Prize in the Texas Regional Junior Science Fair with his project titled "Measuring the time it takes to make a cognitive decision". He used your software to not only plot the data but provide the analysis of means, medians, SD and normal curves. It was a perfect example of using statistical analysis to get the answers. He was amazed at the simple use of the software and the fact that he could look at the data and *think* instead of dealing with Excel equations. It is quite a learning tool as well."